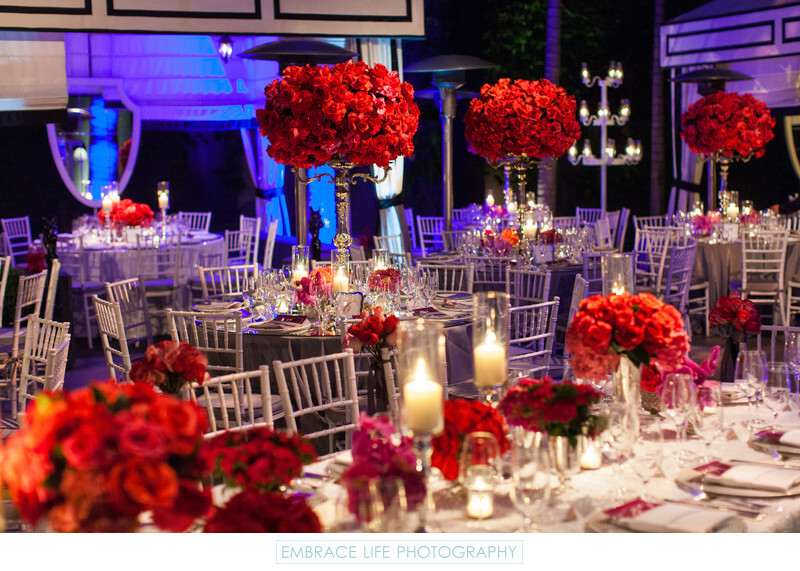 Reception tables decorated with grey linen, candelabra centerpieces topped with huge bouquets of roses, hurricane candle holders and small bouquets of orchids, daisies and roses. Location: 1819 Ocean Ave, Santa Monica, CA 90401. Keywords: Details (1125), Flowers (471), Reception (396), Wedding (1437).